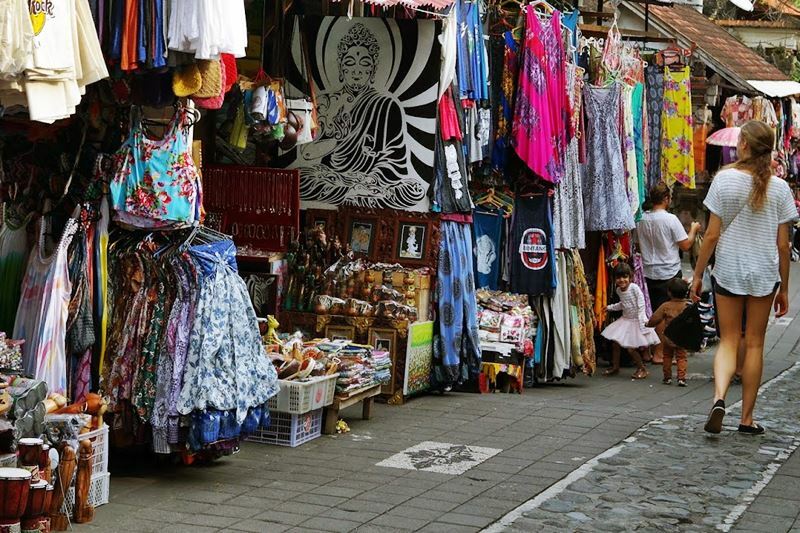 Start your Journey from Kuta to Ubud Shopping Tour with Best Bali Driver. How to book this tour with us ? Last minutes booking, Send us Message on WhatsApp +62 878 6196 8073. Then get ready for your day out to Ubud with our Best Bali Driver to explore Ubud. My name Gede, I’m happy to meet you today and I will your driver for the day to Ubud route. Let me tell first about tour Ubud. Ubud is a famous tourist spot for all visitors who come to Bali. Ubud name is derived from the words Ubad means: Medicine or Traditional Medicine, as on the past, we can find many local herb to mix becoming traditional medicine. But as the growing tourist in Bali, Ubud growing become the nice resort. There many homestay, guest house, villa and even 5 star boutique villa can find here. With the existence of Ubud Palace and Market at The Center of Ubud become an attraction for other tourist who not stay at Ubud to come here and spend the day with shopping, eating and walking around. in Ubud also we can see dance and culture performance which is almost perform every night. Near The central also we can visit famous Ubud Monkey forest with hundreds of Monkeys, it is also another attraction to see. If you want to stay around center, there may many home stay, hotel or villa to stay, and its walking distance to find any restaurant, shop, gallery if you stay around the center. For those who want stay at expensive hotel, we have some hotel located at Ayung river banks like: Four Season, Amandari, Alila Ubud, Mandapa Ritz Carlton and many other expensive one that located at superb of Ubud like Maya hotel, Puri Wulandari and more more brand new villa can found from center till outside of Ubud. Batubulan village: Barong and Keris Dance show, Ticket IDR 100,000/person, Start time : 09.30-10.30. 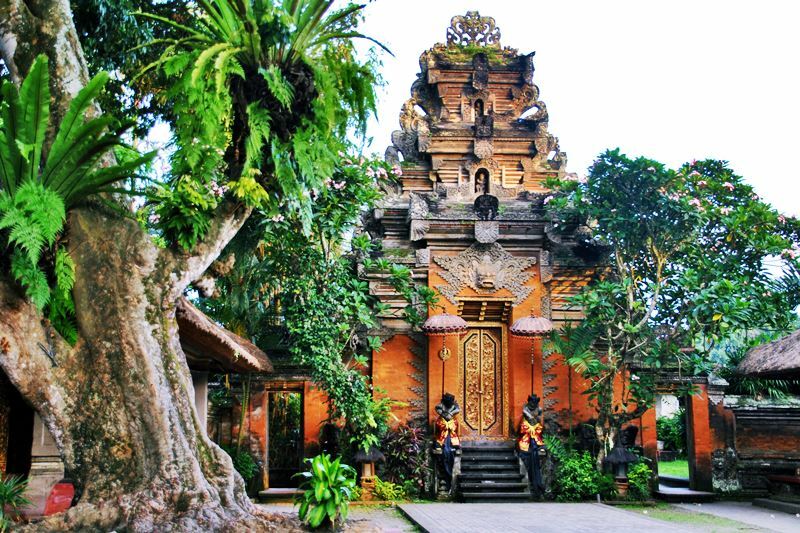 Batuan village Temple, open from 09.00-17.00, Ticket entrance: Donation as you please. Celuk village, known as the central of Bali Silversmith with traditional style. Batuan village, known as the central of Bali painter with traditional style. 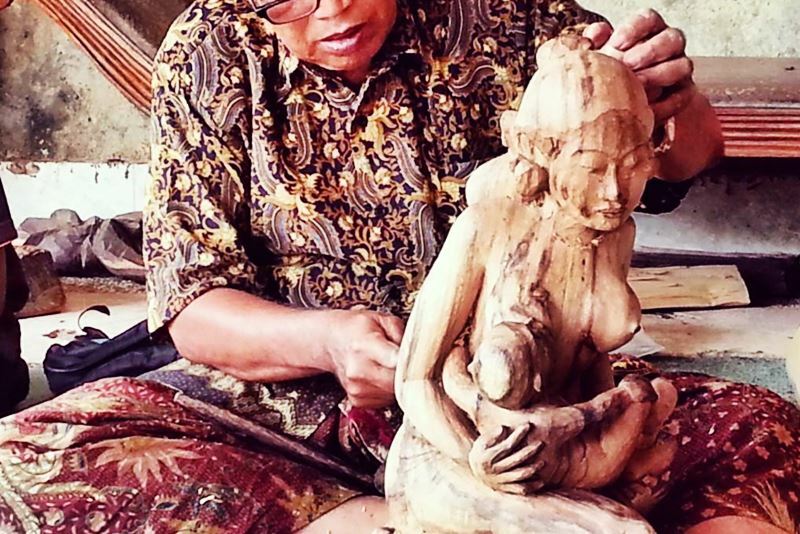 Mas village, known as the central of Bali Wood carver with traditional style. On those village, we can see how the process of arts made by the master. if you want to do some shopping for souvenir, you must doing good bargaining. Other stop suggestion if we drive to Ubud is Tegenungan Waterfall, Located at the village close to Mas, this waterfall is become more popular to visit as the local and government has build the road walk down to the river side and see closer to the waterfall. we may reached the waterfall from west side and east side as there is 2 village located among this waterfall. Please bring towel, swim wear, life jacket if you want to swim. there is no lifeguard here. Non Swimmer is not recommended take bath here. Make sure you wear sport shoes as the road walk down quite steep with many stairs. Bring a bottle of water to avoid dehydration. If you can not walk, please take photo from up location as we have nice spot for photo.